The two errors shown below can be attributed to invoices with payments being deleted. 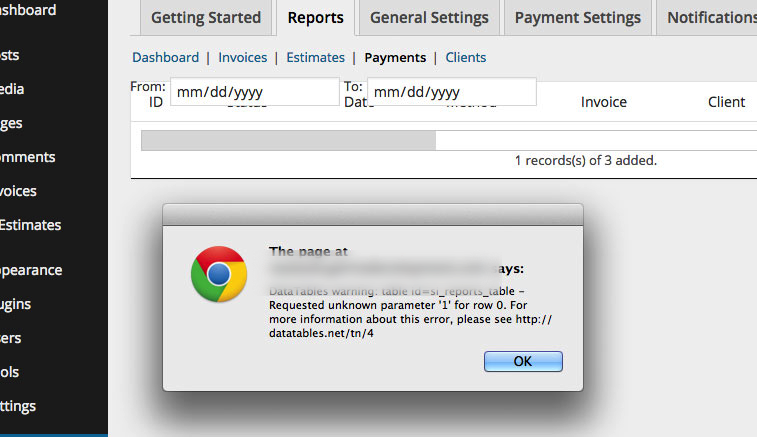 Step 1) Find the payment id that is orphaned. Review all your payments and find the payment that has no invoice associated. In this example the payment id is 1727. Step 2) Delete the post manually by using wp_delete_post(). Using the example above this would be added to the functions.php file of the theme, after an admin page is refreshed it can be removed, since the post would have been deleted.